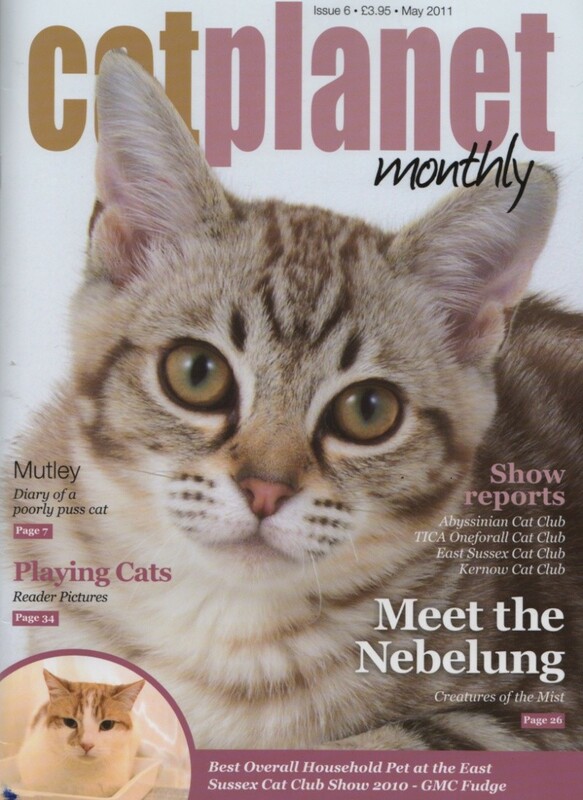 Cat Planet Monthly Magazine : - Cat Planet Monthly - Back Copies CPM - Subscriptions Outside UK Postage Cat Magazine, Cat Planet, GCCF, TICA, FB, Cat Shows, Cat Breeding, Cat Care. 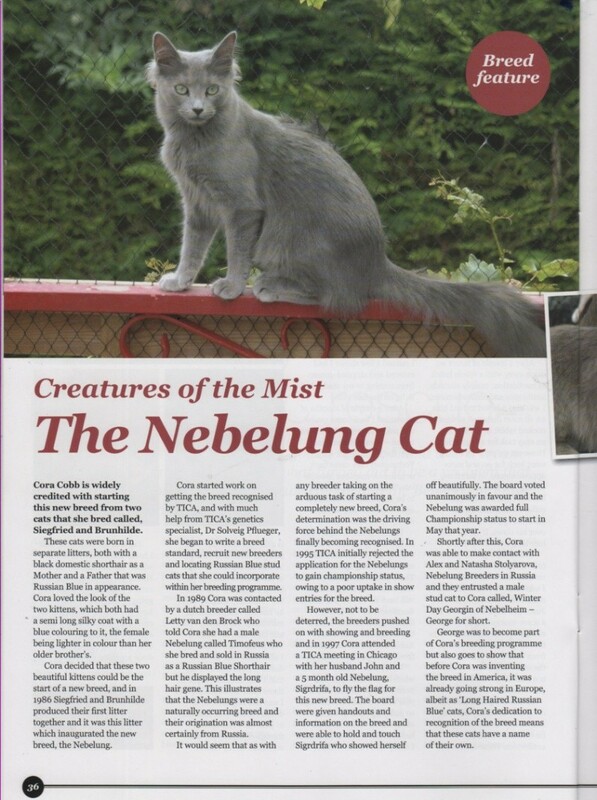 The future is looking bright for Nebelungs as of the 4th May the GCCF have recognised the breed name Nebelung!!! Congratulations to all of those who have worked so hard for this achievment!!! Bernard, Patrick, Virginie, Laurence and co! Many congratulation!!! It is indeed and all down to Bernard and Patrick's hard work along with Virginie and Laurence! 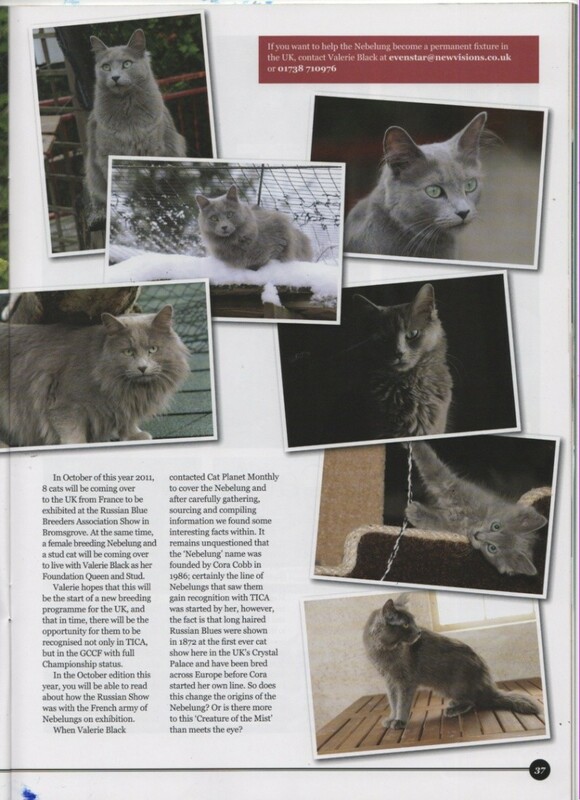 The article is just a prelude to the show In Bromsgrove where the article will be all about the cats exhibited there all coming from France and one bred by Michaela of Silverblue Goblin in Germany. I am so grateful to Virginie and Michaela for Feagen and Alesan and to Patrick for the introduction to the breed and Laurence for being such a good ambassador and a logely chatty lady ;-)) Bernard has done such a lot of work with this breed and his passion for the breed is 2nd to none and his tolerance of me and my many questions is incredible! I am so excited as one feline friend said they could almost feel the vibrations lol! This is a dream for me and I feel so lucky but am cautiously nervous as I have many steps to take to gain GCCF champion status so I'm hoping the people of the UK Scotland and England not forgetting Ireland will take the Nebelung breed to their heart!!! Nebelungs deserve a place on the UK show bench at GCCF shows and place in the publics hearts! Luv Valerie and the furry clan!! !